Jaguar Racing launches its first ever Formula E single seater, the I-Type. But how will Jaguar’s return to motorsport impact the roadcar division? Formula E, the FIA’s electric single seater racing series, is about to start its third season in Hong Kong. There were many who didn’t expect it to make it this far. Plenty of single seater ventures have been founded, failed to flourish, and quietly died away – just ask A1GP, Superleague or Formula 2. But Formula E is going from strength to strength, and it’s attracting not just interest but full works entries from major manufacturers. The 2016/2017 season will see Panasonic Jaguar Racing join the fray, just as Audi plans to up its existing support of the ABT Schaeffler team to a full works effort from season four onwards. 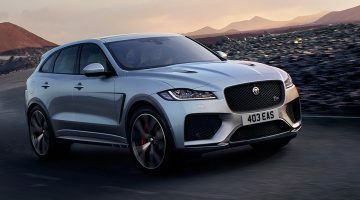 BMW and Volvo have also made noise about joining in alongside existing OEMs like Renault and DS (part of Citroen), and electric vehicle specialists like NextEV, Venturi and Faraday Future. A large part of the reason for Formula E’s success is its relevance to the future of road cars. With the electrification of production vehicles expanding at a pace, a series that lets carmakers showcase their electrical expertise, and benefit from development that comes from competition, is proving attractive. Jaguar’s Formula E entry – the launch of which crankandpiston.com attended in the UK – marks its first factory motorsport effort since it withdrew from Formula 1 in 2004. That 12-year gap shows it won’t just throw cash at racing for the sake of it – there has to be strong justification. Jaguar will be working with Williams Advanced Engineering – an offshoot of the F1 team of the same name – and is banking on Formula E becoming a significant tool for the development of future road cars. 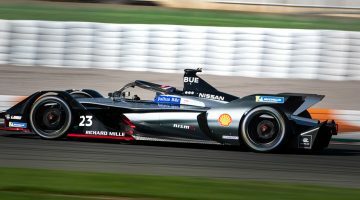 Formula E as a series focuses particularly on electric powertrain development among teams, while bodywork and most other specifications are all set in stone by the regulations. 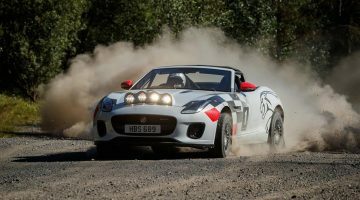 According to JLR’s group engineering director Nick Rogers, this means that all of Jaguar Racing’s efforts are focused on the electric future rather than trying to eke out tenths of a second through a fancy new front wing. The resultant glamour of motorsport, he hopes, will inspire and motivate the 9000-strong workforce as JLR looks to focus on electrification. Work on Jaguar Racing’s I-Type race car will be split between Jaguar in Warwick and Williams Advanced Engineering in Grove, Oxfordshire. The carmaker has a long history with Williams, going back to the C-X75 supercar project. Wilson is under no illusions that while Formula E might be new to motorsport, it won’t be easy. So what of the future electric for Jaguar Land Rover? What vehicles will we see on our roads that boast Formula E derived technology? On those details, the experts are coy. “There’s a clear signal that we’re focusing on electric technology as a key part of our development,” says Nick Rogers. “I’m really excited about it, but if I mention any new products this man will hit me,” he says, gesturing with a smile to the nervous PR officer beside him. Enjoy this Jaguar Racing I-Type article?